With Geely backing, the British sports car maker announces the all-electric Type 130. Long without new product, Lotus Cars is finally getting back in the game, two years after it fell under the growing Geely umbrella. At the 2019 Shanghai Auto Show Monday, Lotus teased the Type 130, which it is proclaiming as the first all-electric British hypercar. This all comes on the heels of a report in January that Lotus and Williams were working on a PHEV hypercar. In what CEO Phil Popham called, "a turning point for our brand," the Type 130 sounds like it's intended to be a showcase of what Lotus engineers can do when they're left to their own handling devices. Perhaps borrowing more than a page from the McLaren handbook, the Type 130 is set to jumpstart a new era for the long-struggling niche carmaker, whose newest product is the Evora that was shown in 2008. 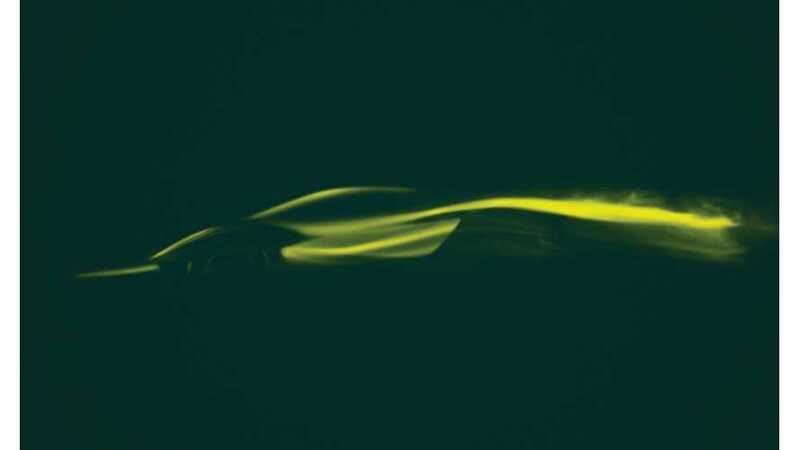 Shown only in a teaser, Lotus said the Type 130 will be revealed later this year in London. Lotus embarks on an exciting new era today with the announcement of its first all-new product in more than a decade – set to become the first all-electric hypercar from a British manufacturer. Type 130 continues the legendary bloodline from Lotus during its 71-year history, which has seen a number of true game-changers introduced from the Norfolk, UK based brand in both motorsport and sportscars. The all-new car will be revealed, together with the full remarkable details and specification of this technical tour de force, in London, the birthplace of Lotus, later this year.